First published in 1986, this book examines poverty and changing attitudes towards the poor and charity across England, France and Italy. It discusses the causes of poverty and the distinctions between the poor and the class-conscious proletariat. Taking early nineteenth-century Italy as a special study, it uses the exceptionally rich documentary sources from this time to examine such issues as charity, repression, the reasons why families suffered poverty and what strategies they adopted for survival. 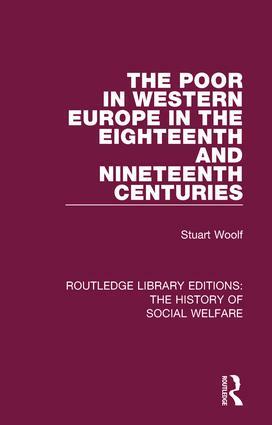 In this study, Stuart Woolf takes full account of recent work in historical demography and in sociological studies of poverty and the welfare state to produce this original and thoughtful work. This book will be of interest to those studying the history of poverty, class and the welfare state.